Our network environment is completely supported by Cisco switches from 2960, 4500, 3850 ,etc. 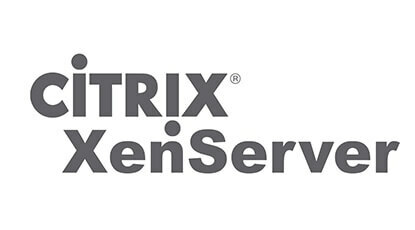 Virtual environment is using Citrix Xen and Vmware products. Starting from a couple of months ago ,after Xen environment upgraded to 7.2, we are facing switch port err-disable issue. A couple of ports on different Cisco 2960s, 2960x switches are constantly getting into err-disable mode which cased server outages. It has been happened to both bonded ports and access ports which has no nic teaming or bonding. System image file is "flash:/c2960s-universalk9-mz.122-55.SE7/c2960s-universalk9-mz.122-55.SE7.bin"
cisco WS-C2960S-24TS-S (PowerPC) processor (revision J0) with 131072K bytes of memory. There are two switch ports connecting to Citrix Xen server on this SW-Mgmt 2960x. Another port seems fine. And it always g0/12 got err-disable status. "A loopback error occurs when the keepalive packet is looped back to the port that sent the keepalive. The switch sends keepalives out all the interfaces by default. A device can loop the packets back to the source interface, which usually occurs because there is a logical loop in the network that the spanning tree has not blocked. The source interface receives the keepalive packet that it sent out, and the switch disables the interface (errdisable). Keepalives are sent on all interfaces by default." A switch port can end be error disabled if the software (IOS or CatOS) detects an error situation on the port. The port is effectively shut down until re-enabled manually or automatically if a recovery timer is specified for the error condition. When it happens, the logs show there is loopback error detected. 000305: Nov  5 21:23:59.177 EST: %ETHCNTR-3-LOOP_BACK_DETECTED: Loop-back detected on GigabitEthernet0/12. The quick fix is easy , just shutdown interface and no shutdown again. Issue the no keepalive interface command in order to disable keepalive packets on those interfaces. A disablement of the keepalive prevents errdisable of the interface, but it does not remove the loop. The problem is you will need to collect those ports which issue happened before. In this way, you will not need to know which port has issue. It is global command on the switch and affect all ports.